No-one likes a new tax, but they like transport delays even less? The Herald is busy asking Aucklanders what they think of a 10c fuel levy in their region to help pay for transport projects. An unscientific Herald online poll of 13,300 people, finds the fuel tax, which is one of the new Labour-led Government’s policies, is opposed by 49%, supported by 42% while 7% say maybe. However, the results are similar to ones of a scientific study done in May 2008, before the then Labour-led Government was replaced by a National-led one. 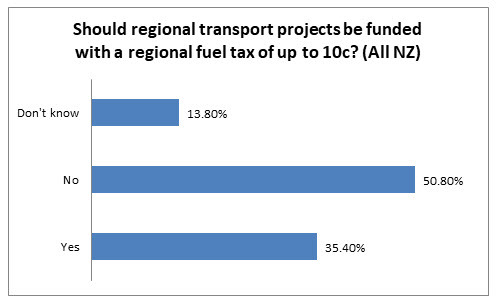 The May 2008 poll by ShapeNZ (since acquired by Horizon Research) of 2,569 New Zealanders, representing the adult population, found 50.8% opposed to regional transport projects being funded with a regional fuel tax of up to 10 cents per litre. 35% supported the policy and 14% didn’t know. This was Labour policy at the time and would have allowed any regional council to introduce a fuel tax of up to 10c per litre. Among respondents in Auckland City, 48% opposed and 35% supported the tax: remarkably similar to the response to the Herald nearly 10 years on. 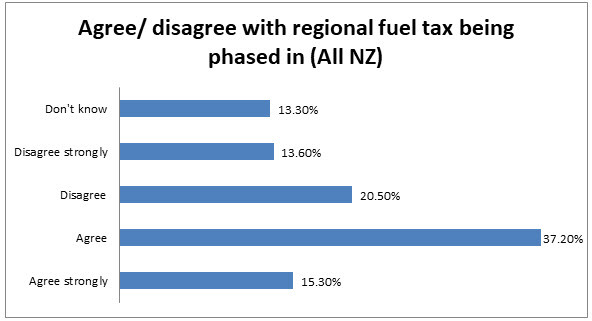 When asked by ShapeNZ in 2008 about a further policy change at that time, which would have seen the fuel tax phased in rather than imposed all at once, 53.5% agreed with a phase-in. In Auckland City there was 50% agreement on a phase-in, 33% opposition. However, today’s policymakers might take a hint from the 2008 results as they listen to Aucklanders on the policy. In 2008 Aucklanders had little appetite for delaying a regional fuel tax if it meant delaying improvements to roads, rail, ferry and bus services. 50% disapproved of a phase-in if it meant transport improvement delays. 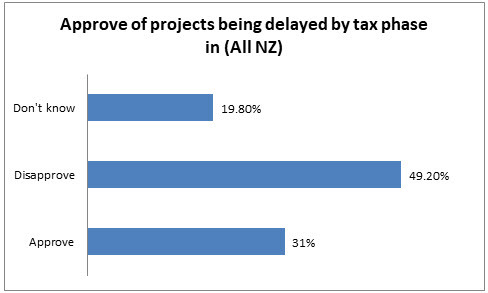 Among Auckland City respondents disapproval over delays rose to 54.4%. Putting it in the context of forgoing transport gains (and avoiding rates rises) if the tax were not introduced? Your comments are welcome on our Facebook page. For further information on this and other research on transport and funding issues, please contact Grant McInman, Manager, Horizon Research Limited, e-mail gmcinman@horizonresearch.co.nz, telephone +64 21 076 2040.